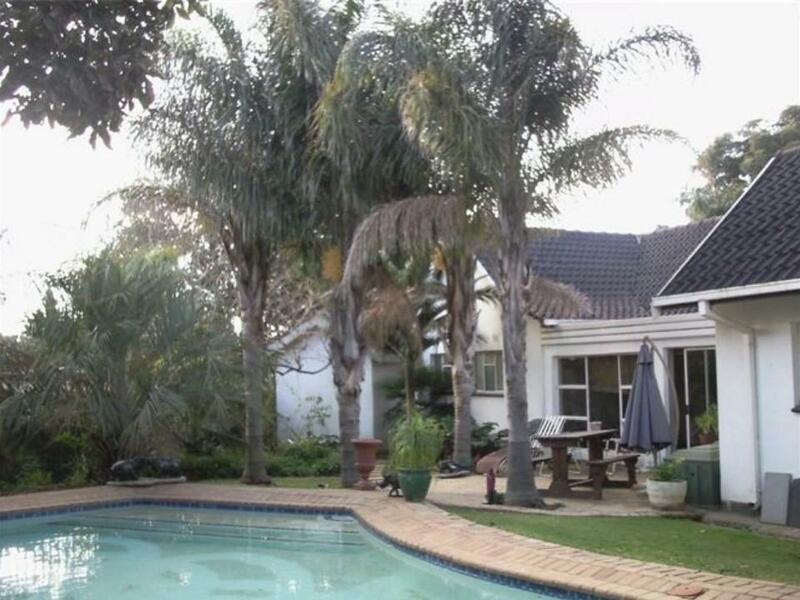 ﻿ Airport Modjadji Guest House Johannesburg. JIMAT di Agoda.com! Ada soalan mengenai Airport Modjadji Guest House? Sesuai untuk berehat dan bersantai, Airport Modjadji Guest House terletak di area Greater OR Tambo di Johannesburg. Dari sini, tetamu boleh menikmati semua kemudahan yang bandar ini tawarkan. Dengan tarikan utama di bandar ini seperti Muzium Kebebasan Madiba, Protop Womens Clinic, Amara day spa berada pada jarak yang dekat, pengunjung hotel pasti akan menyukai lokasinya. Di Airport Modjadji Guest House, perkhidmatan yang cemerlang dan kemudahan yang unggul menjadikan penginapan anda tidak dapat dilupakan. Wi-Fi percuma semua bilik, pengemasan harian, pendiang api, simpanan bagasi, Wi-Fi di tempat awam merupakan beberapa kemudahan yang membezakan Airport Modjadji Guest House daripada hotel-hotel lain di bandar. Suasana Airport Modjadji Guest House terpancar di dalam setiap bilik tetamu. linen, cermin, tuala, internet wayarles, internet wayarles (percuma) hanyalah sebahagian daripada kemudahan yang boleh didapati di hotel tersebut. Hotel ini menawarkan pelbagai kemudahan rekreasi yang sangat baik, termasuk padang golf (dalam jarak 3 km) , kolam renang terbuka, taman. Kemudahan yang hebat dan lokasi yang sangat baik membuatkan Airport Modjadji Guest House menjadi asas yang sempurna untuk menikmati penginapan anda di Johannesburg. Nice Host, she was very helpful. The rooms we're clean, we even had a bathtube! We had a really nice barbecue in the beautiful garden and the breakfast was amazing, she even provided a really nice veggie alternative for my girlfriend. 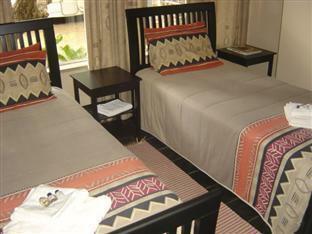 We have stayed at Airport Modjadji Guest house on three seperate occasions. It is very convenient to OT airport, Audrey, the owner is extremely helpful and caring and we would recommend it to anyone who needed to stay overnight or for a day or two in Johannesburg. Had a very pleasant stay here! The hosts were very friendly, room was wonderful, and the food was delicious (and portions large enough to feed a small elephant!). There is some airport noise, but it largely drops off at night. As to be expected for a 10 min drive from the airport. Perfect for a short overnight stop in Johannesburg. What stood out was the garden. More color to the pathway would make the place very beautiful. Breakfast was served as promised, good service. The rooms were clean. Very disappointing that the website says there's wifi for in every room but that was not the case. We were told that there's only WiFi in the dining area. We loved it there, a haven, beautiful garden, our room was thatched , big and very comfortable. The staff were extremely helpful. It is a great place to stay close to the OT airport and Audrey was extremely helpful, the evening meal is delicious and recommended if you just want to relax after a busy day and not go out again. the manager is ok, but the room condition is not good. the bed sheet is dirty, seems there is no people use it for long time. TV in the bar doesnt work, very boring in night. WIFI is not that fast and bad connection quality in room. Very far distance to Santon, but it is near airport, Uber only 70 SAR. Not what I expected based on the pics. The place is less than a ten minute drive from the airport. For our propose just perfect. Unfortunately starting an landing airplanes cause quite a bit of noise at night. The host is the most amazing woman. Really kind and nice trying to help with everything and even fixing us breakfast at 5:30 am. The staff was very friendly collecting me at the airport taking me to my room, shuttling me to a charming seafood restaurant and collecting me after a lovely meal. The room was clean and comfortable and the breakfast was a homemade classic: bacon and eggs with fresh-brewed coffee and warm milk. I will return on my next layover in Joho. We arrived at a late hour and our host was quite sympathetic to our arrival time, it is greatly appreciated. Breakfast was delicious. As jet-lagged travelers, we were so glad to be picked up at the airport, welcomed and well fed! The guest house is close to the airport, but very quiet at night. We stayed at Airport Modjadji Guest House on a Saturday night before driving to Kruger NP the next morning. The hosts were very friendly and greeted us with a glass of juice on arrival. They were also very knowledgable about Kruger NP and the various camps where we had reservations. They helped us choose between driving routes from Johannesburg. We had to get on the road very early in the morning, so they got up especially early on a Sunday and sent us off with a hot breakfast. Our room was great -- since they had space, they upgraded us to a nicer accommodation than we had reserved. 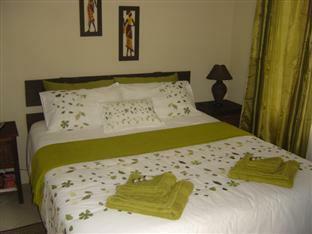 The location near the airport was a deciding factor in choosing the Airport Modjadji Guest House. We did not hear airplane traffic as other reviewers had stated. (Even so, if you book accommodations near an airport, you should not complain about airport traffic. Come on people!) 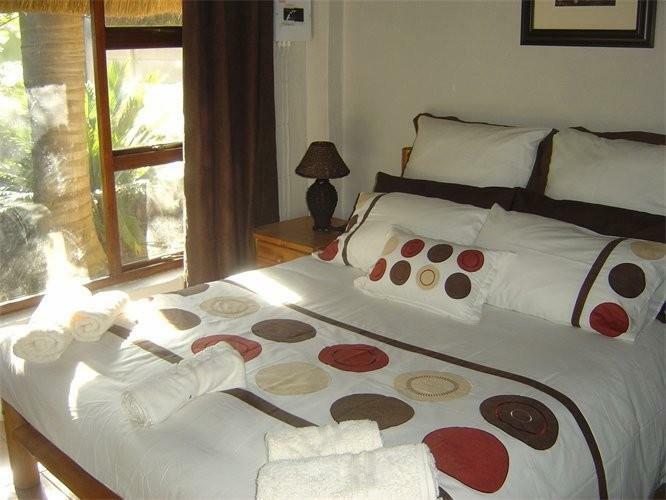 This accommodation was an excellent value and we felt very safe and taken care of. I would definitely stay there again, and also recommend it to others. This was a really great guest house, very close to the airport and the staff were just lovely. The breakfast provided was ample and to a very high standard considering the low cost of the rooms. Everything was very pleasant. 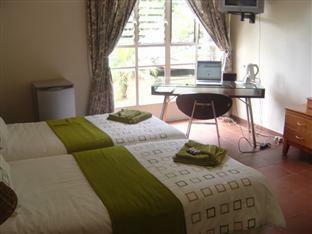 This guesthouse is run by a lovely couple who are eager to please and provide excellent service. Conveniently located next to the airport and the owner will drive guests for a small fee (unlike other hotels who advertise that they have a shuttle but then charge it quite high). Nice bedroom within the house, with nice bedding. The whole place is a bit run down but the major issue for us were the planes flying directly above the house. They stopped after 10pm but then started again at 5.30am. Difficult to get a good nights sleep with the jet engines flying directly above your head. Nothing that the owners can do about it though. Too bad, because if it wasn't for the planes, for the money you pay, it would be a great place to stay for a night before or after your flight. Oh, wifi was not available in the room as it was a bit far from the router. The owner said he will fix this soon. Outside cottage with thatched roof is cosier but noise from the planes is even louder. Rooms closer to dining area have wifi. The ones farther away do not. We ended up waiting some time before we were able to make contact to get in gate. B&B is residential, call box by gate, but no answer. Finally made telephone call with local cell phone (ours didn't work here) to get results. Our attendant came from another location to open gate and greet/register us. Rooms are very small( about 2 ft on all three sides of our double bed), but very nice. Do not use the provided photos to make your decision. Would suggest a welcome sheet be given providing list of amenities, as we went out for food (attendant recommended and drew map). We didn't know there was a bar available. As name indicates (Airport) the takeoff of jets was very loud as we watched them overhead while sitting outside (impossible to talk as they fly over). There must be an agreement with airport to stop flying over residential, as all aircraft noise finally quit about 10:00 PM and didn't start again until about 7:00 AM. Website shows a pool (which was very dirty) bar (which was closed), dining area (appeared closed) cute dog on a chair (extremely dirty and untrimmed). Parking is within the secure grounds, basically on what might have been the front lawn, now dirt. Residential area is close to businesses, so getting liquor, food, fuel, etc is quite easy. We had a microwave, hot water pot and frig (not plugged in so wasn't ready to keep food or drink cold when we came) along with a small desk. TV is hard to figure out, as it had a main power button that had to be turned on before remote worked. Since the owners(never saw or met, although two cars are in the driveway) know we are coming, surprised that nothing was done in preparation. Examples, frig not plugged in, pool unfit to swim. For the price, not bad, but lots of room for improvements if they want to be a place we would stay again. sweet, sweet hosts! welcoming and extremely helpful - even fought for me with the not-really-a-taxi-driver about the price! and drove me to the aiprot in the very early morning!